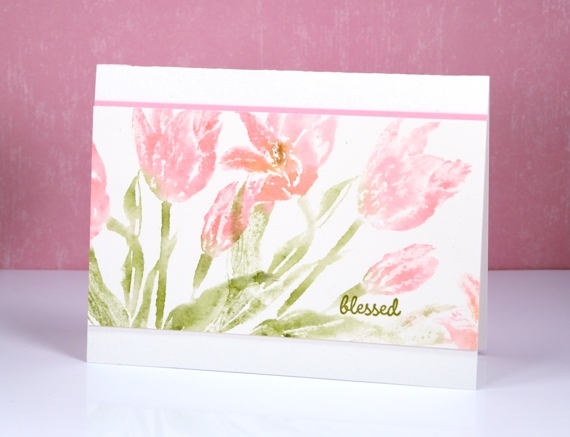 Flower lanterns is a new brushstroke stamp from Penny Black. I happen to have some dried flower lanterns in my craft room so I was able to keep my colours fairly accurate on this one. I love how delicate they look and enjoy the fact that most of my dried ones have kept their shape and colour for a few years now. I painted these with the help of a stamp positioner to enable me to build up colour one step at a time. 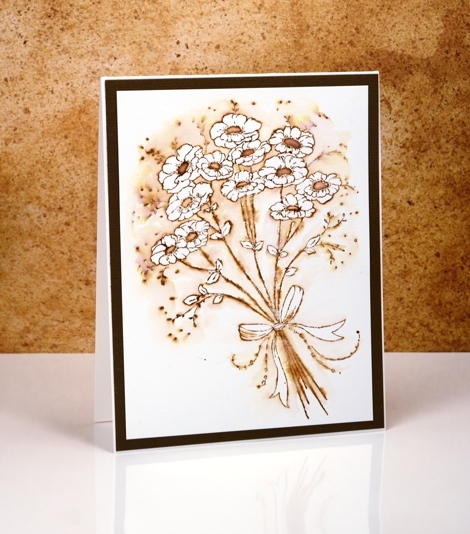 I started by stamping the flower heads in wild honey distress ink applied with a marker. This gave me a pale print of all the lanterns as a base for stamping and painting more colour. 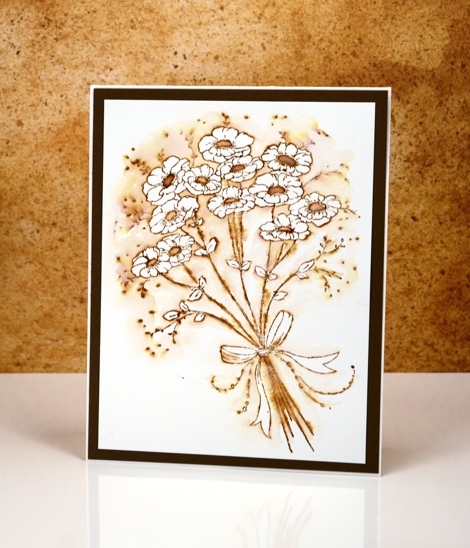 I continued to use distress markers to add spiced marmalade and rusty hinge ink. I stamped sections then blended with a damp brush slowly but surely adding colour until the lanterns took form. I switched to forest moss distress marker for the stems and leaves and also drew some veins onto the lanterns. I finished with some splatter of forest moss ink over the panel and a rust coloured mat to frame it. I have a few more cards made with matelasse style backgrounds topped with bright brusho elements. I once again chose intricate dies for the backgrounds. 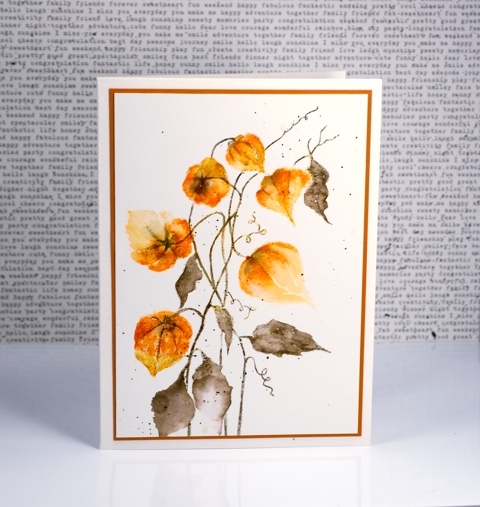 In the cards above and below I embossed watercolour paper with the no two are alike die. 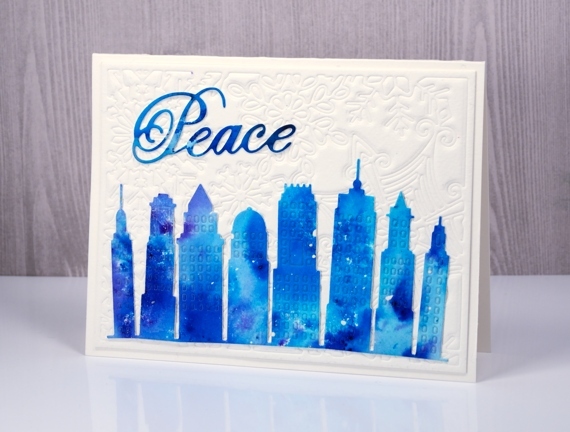 For focal elements I die-cut the city skyline, some snowflakes and a couple of words from a panel painted with turquoise and cobalt blue brusho. 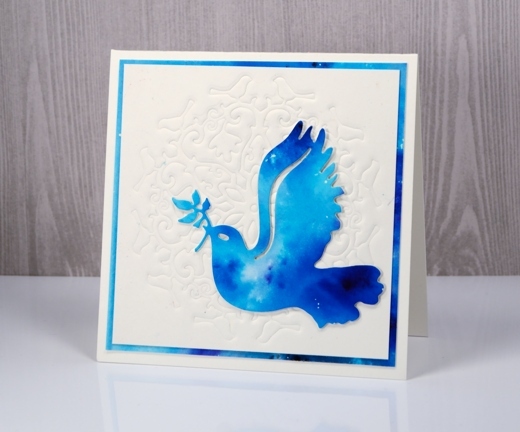 The background below was embossed with the bird flower doily then matted with the same painted paper I die cut the dove from. All the dies I used for these three cards are listed and linked below. 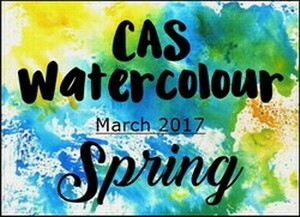 I am participating in the CAS watercolour challenge again this month and as it turns out I have used exactly the same technique as last month. 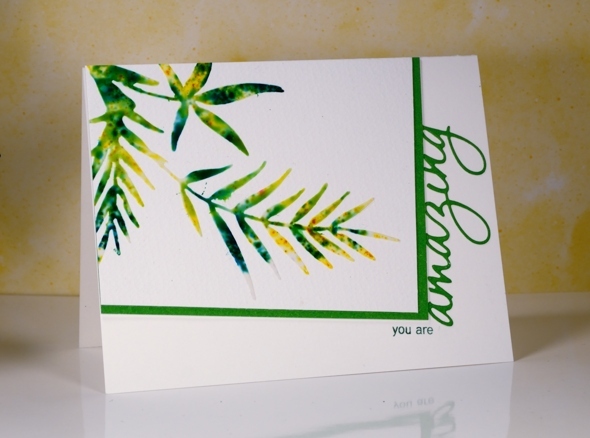 I really didn’t set out to do that but sometimes cards just emerge from experimentation more successful that expected! The theme of the challenge this month is ‘Love’ so a red rose fits in nicely along with a reminder to celebrate, perhaps Valentine’s day or an anniversary. I used the water stamping technique to create this image and I almost didn’t continue with it after the initial application of brusho powder. I stamped the rose with water then sprinkled crimson brusho over the flower and bud area and emerald green over the leaves and stems. This technique can create a mess but it can also give you a loose watercolour representation of the stamp. Once the colours started reacting with the water I used a brush to move some colour into areas that needed more and a paper towel to remove colour where there was too much. With fond memories of the One Layer Simplicity challenge I decided to make a one layer card for the current Case This Sketch challenge. I masked my card base and stamped the ‘tribal’ stamp from Darkroom Door in distress inks. I stamped one colour after another just inking part of the pattern each time. With the mask still in place I sponged over the stamping in the colours listed below. Next I repositioned my first mask and added a second mask to reveal a thin strip of cardbase above the pattern then sponged with fired brick distress ink. 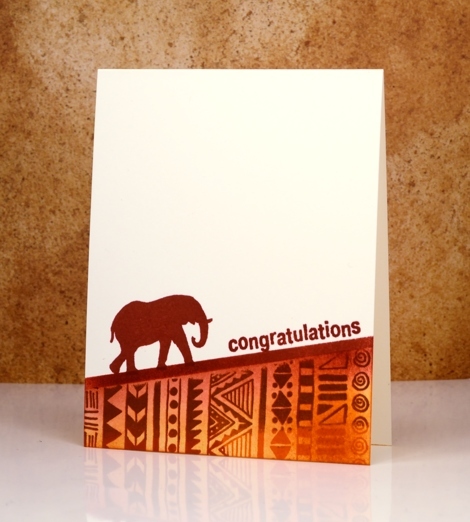 To complete the design I stamped an elephant and a sentiment in fired brick ink. Some goals are reached with much elephant-like plodding rather than the speed of a gazelle! Earlier this week I posted a card made out of a leftover, the negative print from a stencil used for watercolouring. 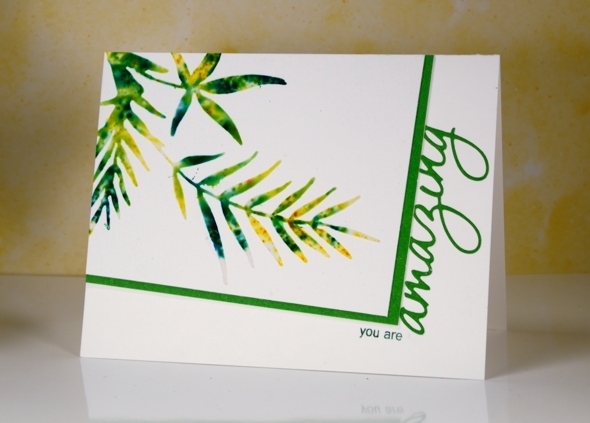 Today’s card is a positive print made through a stencil (not using the same stencil as the earlier card). 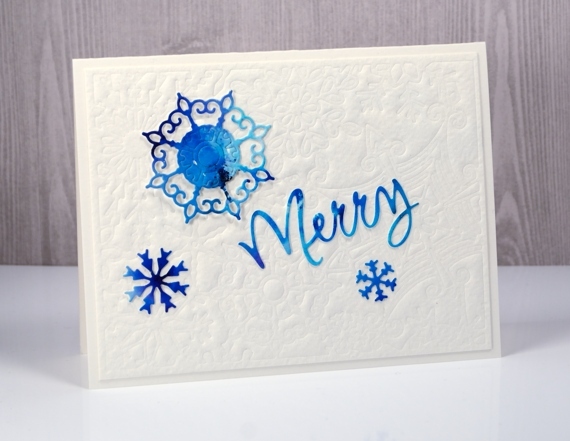 I created the stencil for this card myself by die-cutting the shape from a piece of stencil plastic. You could use an old plastic folder as long as it is not too thick for your die cutting machine to handle. The die I used is ‘fresh breeze‘ from Penny Black. I taped my home made stencil to a piece of cold pressed watercolour paper and spread moulding paste over it, keeping the layer fairly thin with a palette knife. Next I sprinkled yellow and green brusho powder over the stencil then spritzed with water to activate the brusho. Too much water and it seeps under the stencil, not enough and the brusho doesn’t activate. Once the brusho appeared a little blurry I removed the stencil and let the panel dry for quite some time. I chose the angled rectangle layout and messed it up by attaching the panel upside down on my card base. I had to cut it out of the cardbase and attach it to a new one so it is a tad bulky under the stencilled panel! I matted in green and trimmed off the top of the die cut word so it would appear to be attached to the mat. I inked just two words on a sentiment stamp so I could turn it into a phrase. 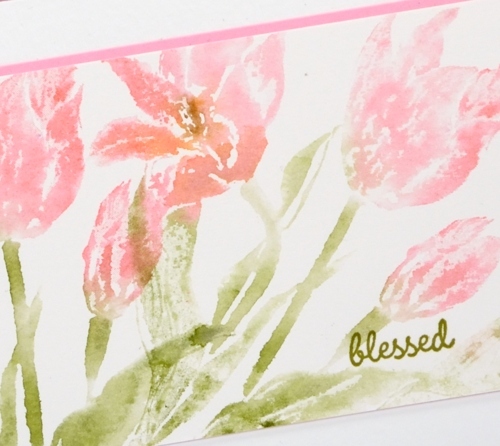 I’m going to add this one over at the Sweet Stampin’ Dies and Punches challenge. Thanks for dropping by. More vintage flowers on display today with a slightly different technique to try. As with my previous vintage style watercolours (birdhouse, butterflies, tulips) I stamped the image in vintage photo distress ink. Other water based dye inks in brown would probably work but I like the ease with which I can dilute and spread the vintage photo ink or stain. 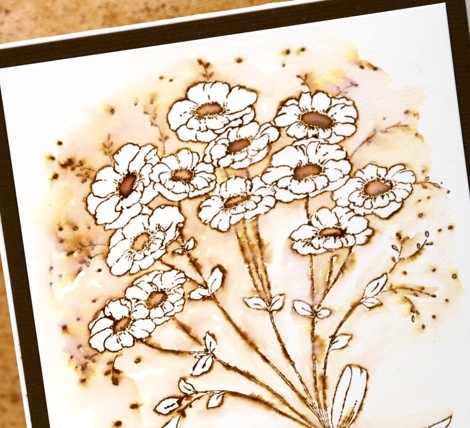 After stamping, instead of pulling ink from the outline into the flowers and leaves, I pulled ink out into the background leaving the flowers and leaves white. The contrast of brown with white makes the flowers pop and look whiter than they would if they were not surrounded by colour. 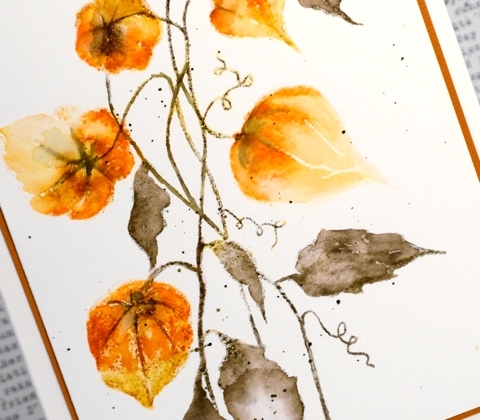 It is a simple technique you could try with any colour ink. I would love to hear if you try some ‘vintage style watercolour’. Thanks for dropping by.